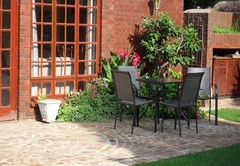 52 Oaks Guest House is a guest house with self catering option, providing accommodation in Sasolburg for tourists visiting the Southern Gauteng region. 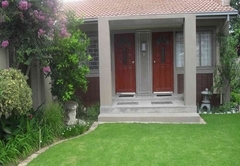 Situated in a quiet and tranquil neighborhood in Sasolburg, 52 Oaks Guest House offers accommodation in four rooms. 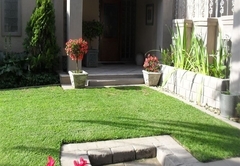 The establishment is within close driving distance from all attractions such as the Vaal River, Vredefort Dome and Emerald Resort. 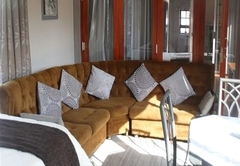 The guest house has a comfortable lounge area where guests can relax and the communal kitchen area is equipped for self catering. 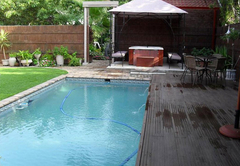 Additional facilities at the guest house include a swimming pool, wooden deck area, Jacuzzi, braai facilities and a lapa area. 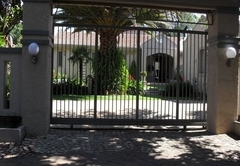 There are remote controlled gates and undercover parking. 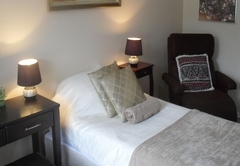 Each bedroom has its own en-suite bathroom and entrance. 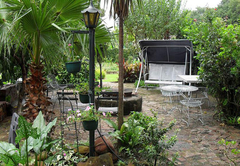 All rooms are equipped with air-conditioning and either open into the garden or have garden views. 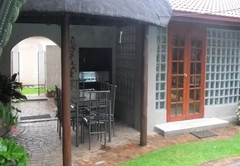 All rooms have DStv, a DVD player and Wi-Fi connection. 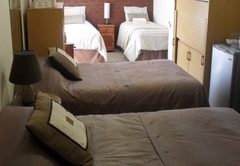 The bedroom is furnished with a Queen-size bed or two single beds. Please note that this is a non-smoking room. The bedroom has a King-size or two single beds. This room is wheelchair friendly. The bedroom has a Queen-size bed and either one or two single beds / one three-quarter bed for children. The room is not suitable for four unrelated adults. There is an en-suite bathroom with a shower. 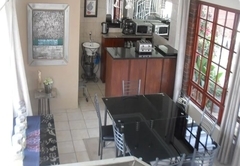 The unit offers a microwave, fridge and full DStv. 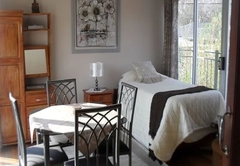 The Penthouse suite has two bedrooms, a lounge area, dining room table and chairs, two balconies that overlook the garden and pol area, one en-suite bathroom with shower and its own kitchenette. This kitchenette is equipped with cutlery, crockery and toaster. 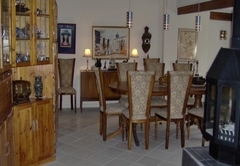 Bottomless coffee, tea and snacks in all rooms included in the quoted rates. 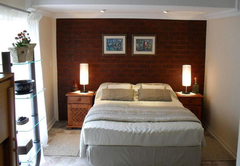 The bedroom consist of a Queen size bed or two single beds. 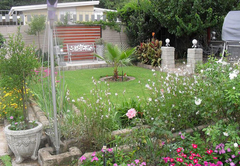 Bed only or Bed and Breakfast and self-catering options available. Lunch packs and dinner available. No smoking in the room. Smoking permitted in smoking area outside the main building. This room sleeps up to two adults and is separate from the main building. It is a wheelchair friendly room. 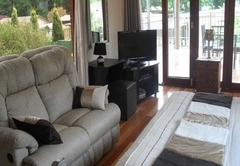 The bedroom consists of a Queen bed and 1 or 2 three quarter beds for children as required. Not suitable for 4 unrelated adults. 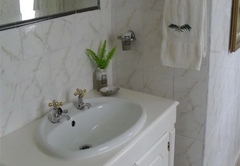 There is an en-suite bathroom with shower. The unit offers a microwave, fridge, full DStv bouquet available. The Penthouse suite has two bedrooms, a lounge area, dining room table and chairs, two balconies, one en-suite bathroom with shower and itâ€™s own kitchenette. This kitchenette is equipped with cutlery, crockery and toaster. 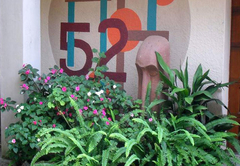 Response time52 Oaks Guest House typically responds to requests in 5-10 minutes.